Gateway to Ashland, Bayfield and the Apostle Islands, Quality Inn of Ashland is nestled in the beautiful northwoods of Wisconsin where you will find one of the most scenic, relaxing, year-round vacation pleasures in the Upper Midwest. The inn was completely rebuilt and newly refurnished in 2006. Experience our distinctive accommodations, new facilities, and excellent food. This is snow country in the winter for skiers, snowmobilers and other winter sport enthusiasts. In the summer enjoy boating, fishing, the Apostle Islands, golfing, tennis and other summer activities. 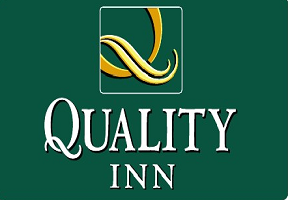 Quality Inn of Ashland is located on U.S. Highway 2, one mile west of Ashland. 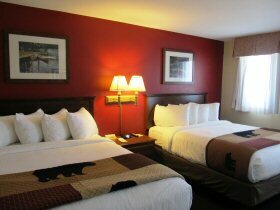 The Lake Superior shoreline is only 100 feet from many of our guest rooms and suites. This provides a great view from our beautiful rooms as well as the cafe located within the hotel and next-door restaurant. Our award-winning housekeeping and maintenance staff ensures you a worry-free visit. Please review our amenities, such as: indoor pool, spa, exercise room, cable television, photocopy service and high-speed Internet and gorgeous views. Each week the Ashland Chamber of Commerce highlights a business on Heartland Communications radio station WATW 1400 AM. The Chamber draws a name at random from our membership and the radio station writes a 30-second ad exclusively for that business.